python-catalin: Blender 3D - ellipsoid. 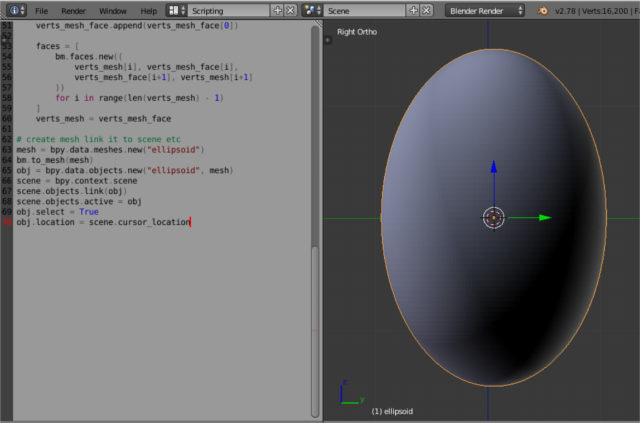 This is a simple way to use Blender 3D - version 2.78c with python scripting tool to make one ellipsoid. # define the ellipsoid method. # TODO come up with a nicer way to do this.